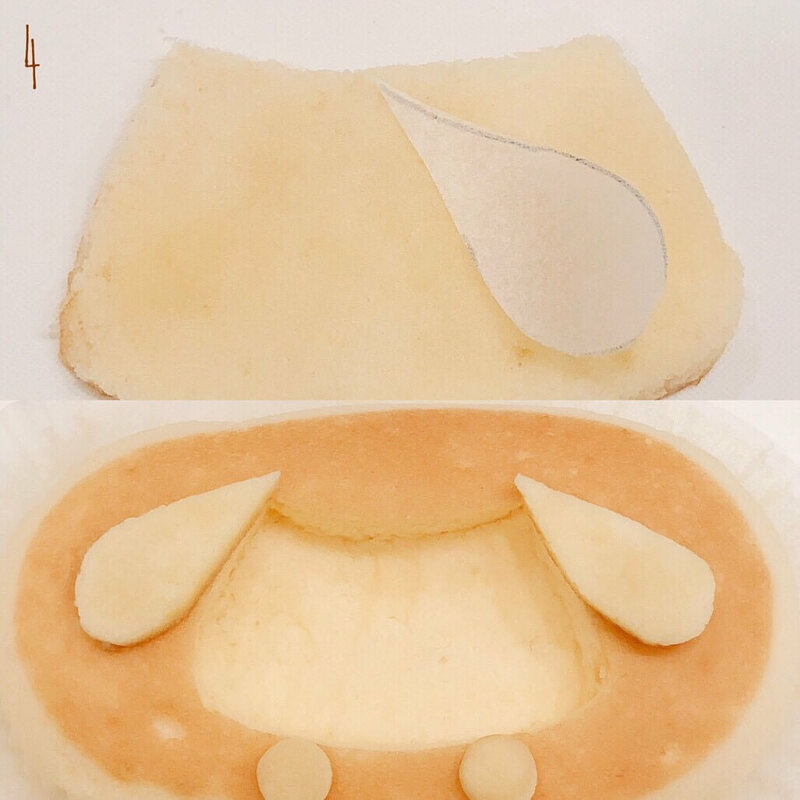 In this character recipe you will learn how to make a “Pompompurin Steamed Cheese Bread” (labeled CHEESE STEAM UP BREAD). Did you know that recently decorating a “steamed cheese bread” is the in thing to be doing right now? 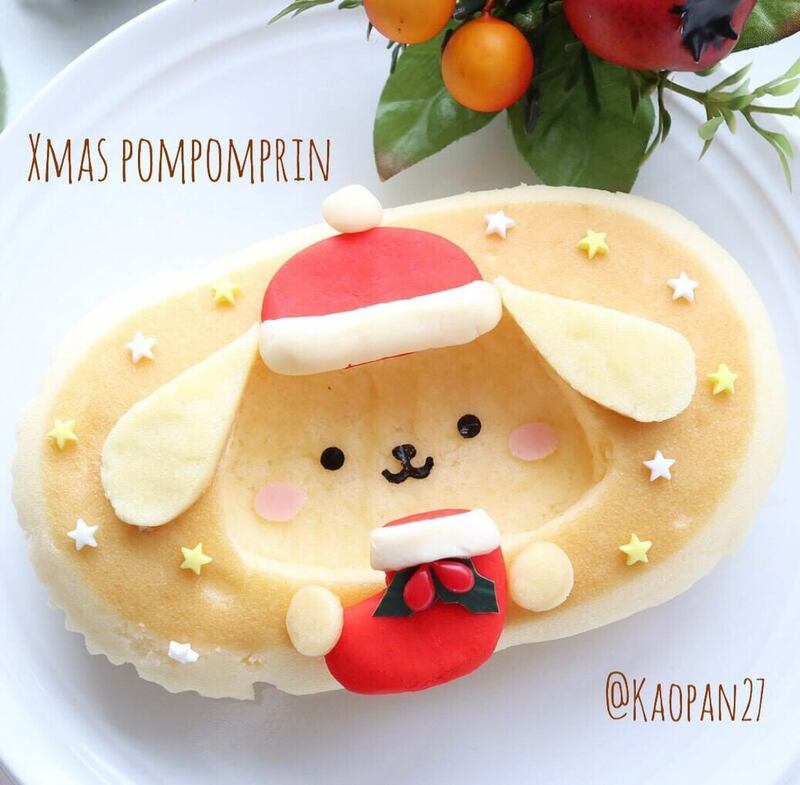 So, in this recipe I will explain about how to decorate a steamed cheese bread in a Christmas fashion. Trace an illustration of your favorite character onto a baking sheet. 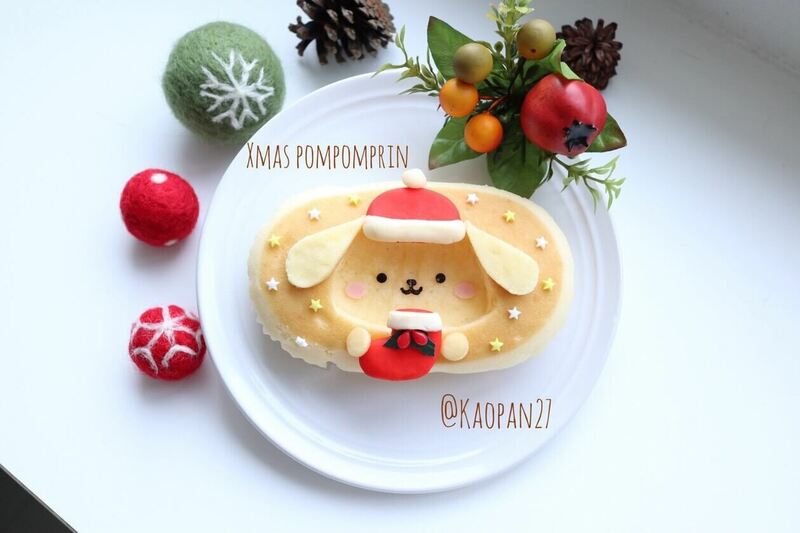 I chose Pompompurin. 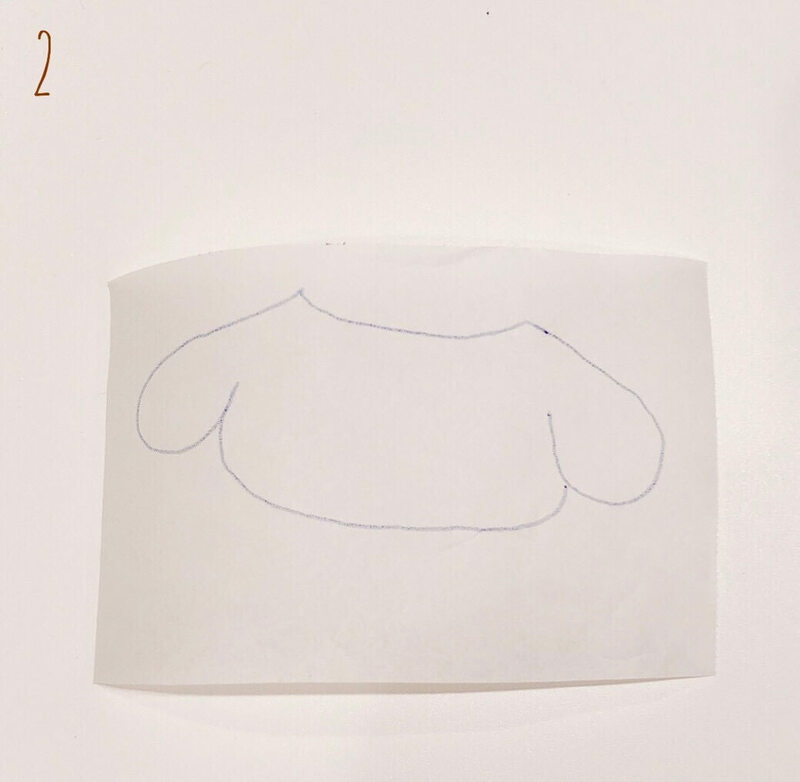 Next, I thought it would be cute to indent the face and highlight the ears so I cut out these parts from the baking sheet. 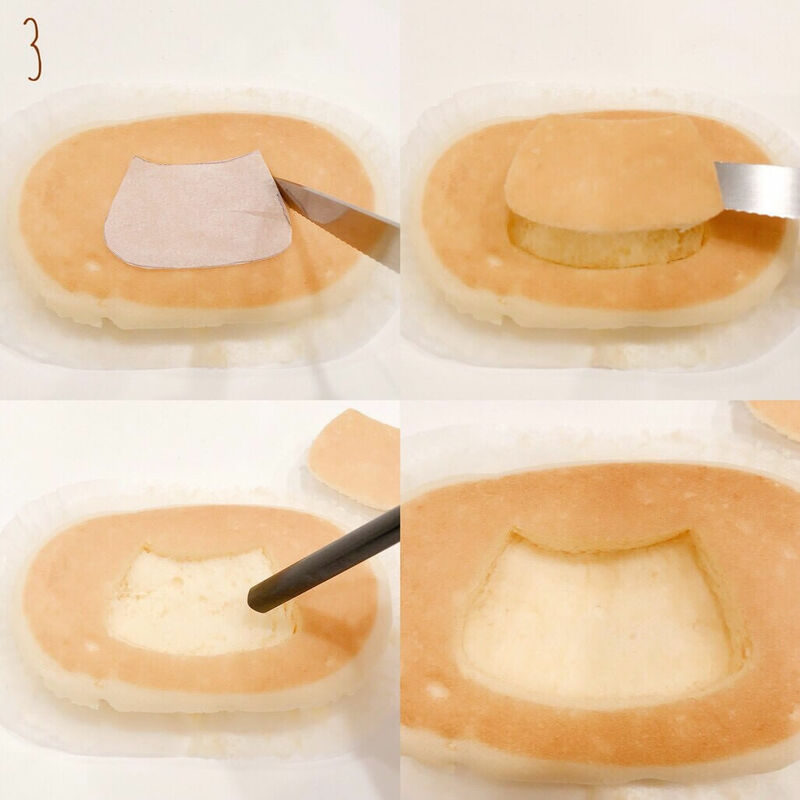 Next, place the face cutout onto the surface of the cheese bread and cut the bread in line with the cutout. Remove this part and set it aside. This part will be used to make the ears and hands. The surface below the removed part might be a bit uneven so using the back end of a chopstick make this area flat. Turn over the removed part and flatten this surface using the back end of a chopstick. Place the ear cutout onto the surface and cut the ears out. Using the remaining part cut out some round hands. 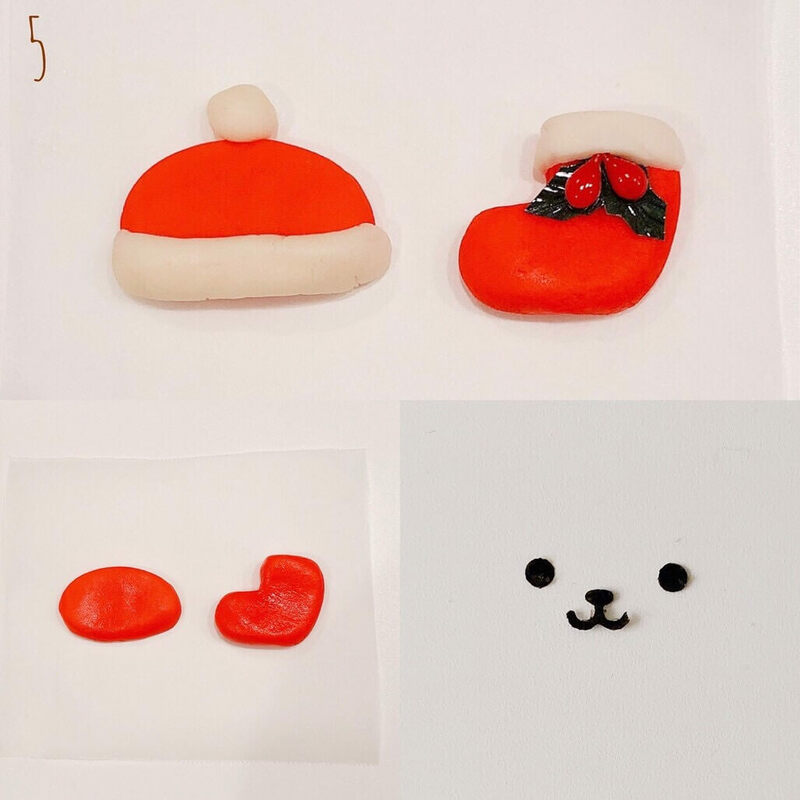 5：Color the plastic chocolate red and form the hat and boots. Using the white plastic chocolate, add the white parts. Using a puncher, cut out the eyes, nose and mouth from the laver seaweed. 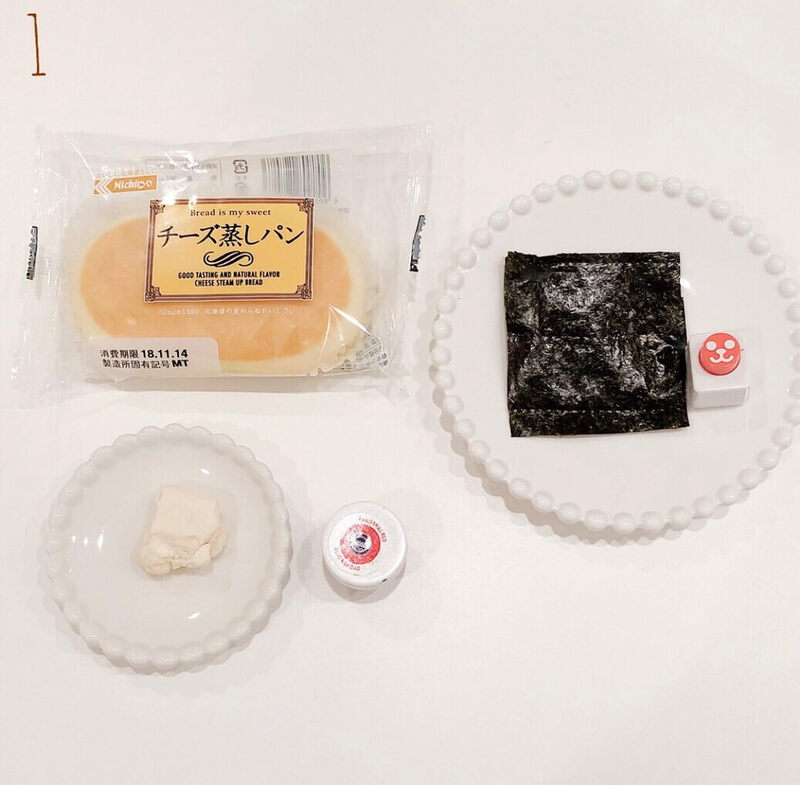 Place all of these parts on the surface of the cheese bread, and voila, your “Pompompurin Steamed Cheese Bread” is complete.